Charity is a WordPress Theme by Theemon that is designed to be used as a charity, NGO, Non-profit organizations and Fund raising websites. 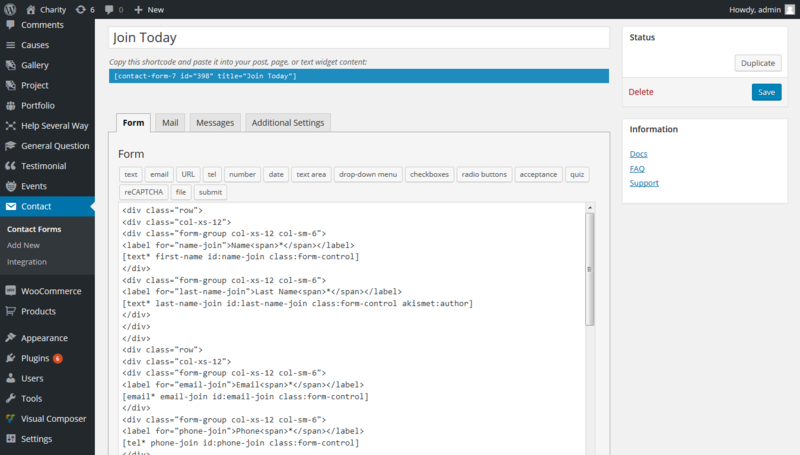 The theme is powered by BootStrap 3.0 and is perfect for both small and large enterprises. Integrated with plugins like Easy Payment, Revolution Slider and Visual Composer, Charity theme is well-equipped for customization and usability. The theme can be used by the NGOs and trusts to accept donation from the supporters. What is there for the users? Once the theme is installed and customized, the users can easily set up the site for accepting donation from the interested people. The end users can also become volunteer with the organization with the option provided. Make donations through the website based on the cause. Become volunteer of the NGO or the the trust that uses the theme. How to create donation form? The donation form is created using the drag and drop tools. 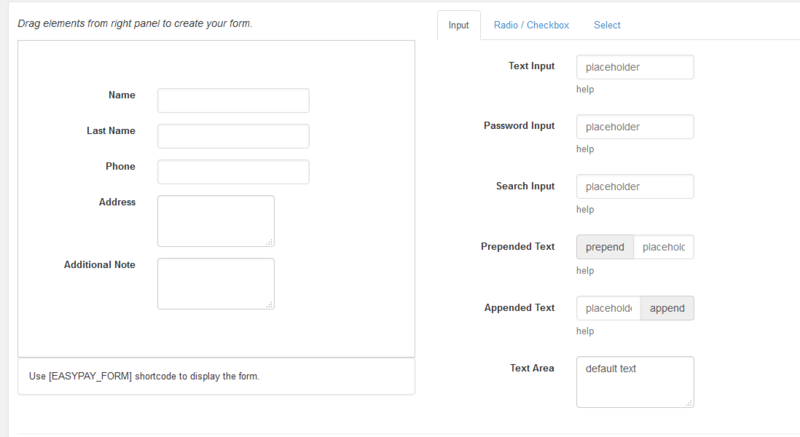 You can choose between Input, Radio Checkbox and Select tabs and drag & drop them to the form. On clicking the update form button, the form is created. The form for Join Today is created by using the contact form and pasting the short code that is generated, to any where you like. 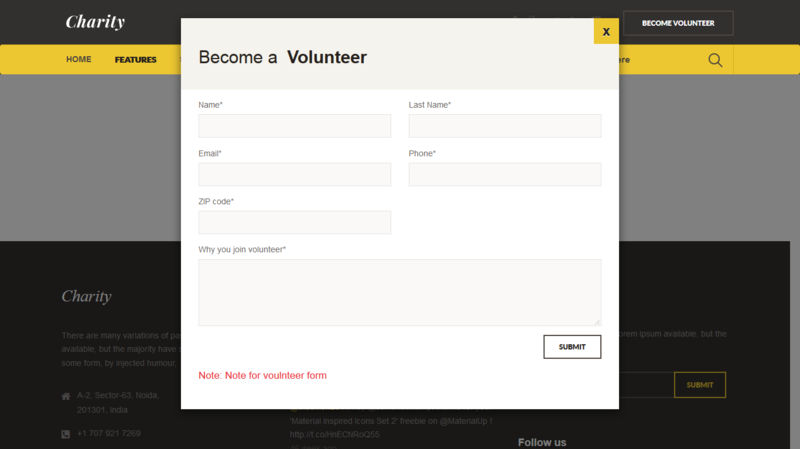 The end users have to fill the details like name, email, phone number and reason to become a volunteer. On clicking the save button, the end user will become a volunteer.